Nostradamus was interested in celestial portents as prophecy. Writing from the mid-1550s, he had accurately foreseen events and assassinations of royalty that did take place under the visitation of a great comet over religious civil war ravaged France in the year 1577. Farther forward into the future, he described the passage of the Moon’s shadow over Flanders and the spot where Jesus Christ was crucified around the time of the new Millennium and how this would usher in earthshaking events both literal and metaphorical. 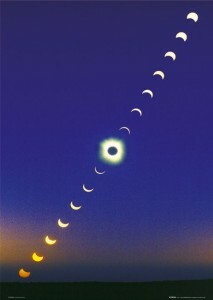 On August 11, 1999, a total eclipse did begin in S. England. The Moon shadow crossed the English Channel passing over Flanders, Greece, Turkey, Jerusalem (the site of Christ’s crucifixion) and finally moved out into space after shading the State of Gujarat, India. In the weeks to follow Greece, then Turkey suffered large-scale earthquakes. Nearly 50,000 reported killed in Turkey alone. In early 2001, Gujarat may have lost upwards of 100,000 buried by a monster quake. After the eclipse of 1999 came American history’s significant course change in 2000 with the Bush era, and then the terror attacks of September 11, 2001. The world under the malefic influence of both has forever altered world destiny. On July 21-22, 2009, the world will pass under the largest moon shadow eclipse and darken the skies in the widest swath, directly witnessed by the most people in history. It just so happens that the total eclipse will begin casting a shadow close to where Nostradamus’ eclipse of August 11, 1999 ended in Gujarat. The new shadow first touches down on the Gulf of Khambhat off western India around dawn of 22 July, Indian Time. The gulf cuts into the Gujarati landmass slightly east of where the August 11, 1999 eclipse shadow passed beyond earth. The upcoming eclipse resumes where the last ended. It passes rapidly eastward over the crowded Ganges valley overshadowing Nepal, Northern Bangladesh, eastern Tibet, then draws a line across Burma finally transiting the densely populous heartland of China overtopping several of its largest cities and industrial centers. Chief among them are the 20 million dwellers of Shanghai before it ventures across the vast surface of the Pacific Ocean up to a point north of Tahiti. Chert n’a garde nul n’y aura pourueu. High price unguarded, none will have provided for it. “A total eclipse will occur over England, France, Eastern Europe, and Turkey on 11 August 1999. It may be the same one mentioned in the [Epistle to Henry II] and in other quatrains that herald either Armageddon or a new millennium of peace. One cannot rule out that this monstre is some kind of extraterrestrial contact that signals doomsday for many of our spiritual dogmas and nationalistic ideas by proving once and for all that we are not alone in the cosmos. The solar eclipse expected in 2034 could be a divine omen of future economic collapse induced by the dog days of the greenhouse effect. Nostradamus: The Complete Prophecies, p. 251. I do not yet rule out the indexing as a possible dated code for economic collapse from ecological pressures in relatively far off 2034. Intuition still points to ecological stresses as the ultimate cause of civilization’s takedown on all levels in my visions. Still, I am wondering now if the umbra of this upcoming eclipse touching the Earth’s surface almost exactly where the 11 August 1999 eclipse had lifted off into space makes this new event “part two” of Nostradamus’ celestial portent for earthquakes — natural as well as social and economic. The fact that it comes right in the middle of the biggest economic downturn since the Great Depression also has me pause in foreboding. In Predictions for 2009, I wrote in detail how the efforts of the Obama Administration to end this Great Recession would stagnate by year’s end and that the efforts made to stimulate the economy might lead to a greater crisis of inflationary depression by the end of 2010 into 2011. The “divine omen” of the great eclipse of 2009 may be overlooked as nothing more than an astronomical show of historic proportions in that the greatest number of human beings will enjoy it first hand. Caution my occult heart and attend. The passing of the shadow of the 11 August 1999 eclipse could have forewarned of natural and civil upheavals. Is there something portentous overshadowing the economies and seismic regions of the two rising Asian economic superpowers in the months and years after part two of the great Nostradamus eclipse on 21-22 July 2009, if that indeed is what it is? Will this eclipse over Burma mark a change in its government, an end to the totalitarian regime, or does it herald the end of life of Burma’s last champion for democracy, Aung San Suu Kyi, who now languishes in jail? What seismic economic and natural disaster does the eclipse’s shadow herald when it passes over China’s financial capital, Shanghai? The high price of worldwide inflation, that none, not even Obama’s administration, or the Communists in China, or the technocrats of India have provided for or anticipated properly may be the subject of Nostradamus’ celestial portent. 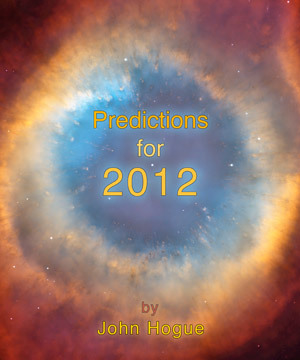 Prepare for something big and unexpected after 21 July 2009. Earth changes. Earth shaking financial changes. Read more about the coming threat of an inflationary depression HERE. This entry was posted in Prophecy and tagged Aung San Suu Kyi, Burma, China, depression, Eclipse, Great Eclipse of 2009, India, inflation, Moon, Nostradamus, prediction, Recession, Sun, umbra, world economy. Bookmark the permalink. Post a comment or leave a trackback: Trackback URL.